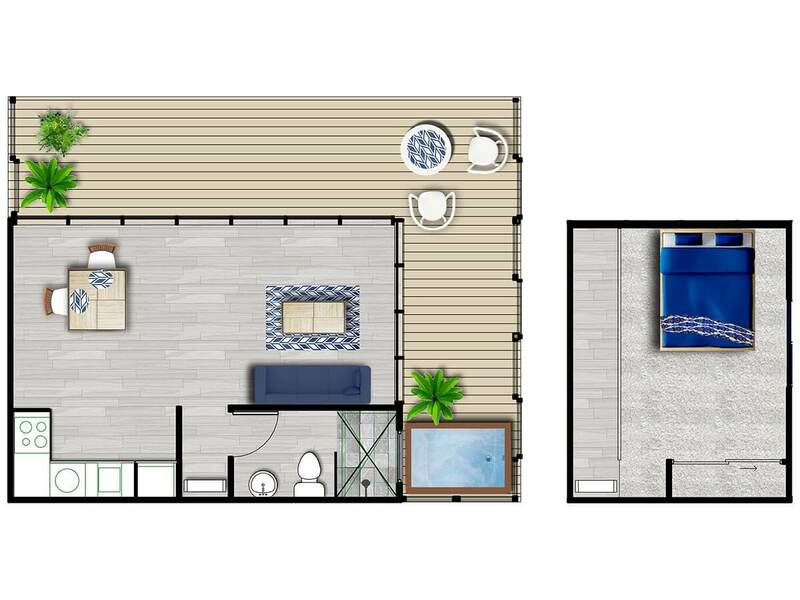 Small spaces designed to feel large. 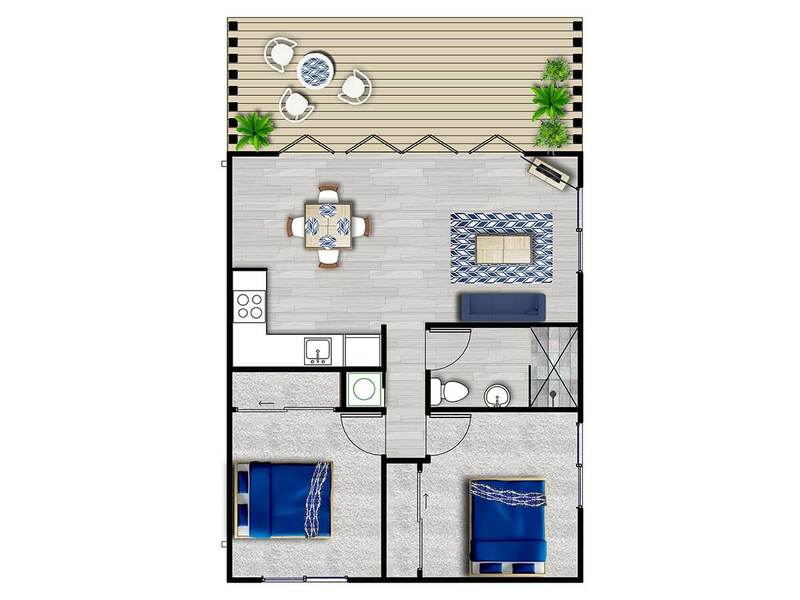 All spaces are designed with open plan living, minimum 2700mm high ceilings, large windows and glass doors that give natural cross ventilation. 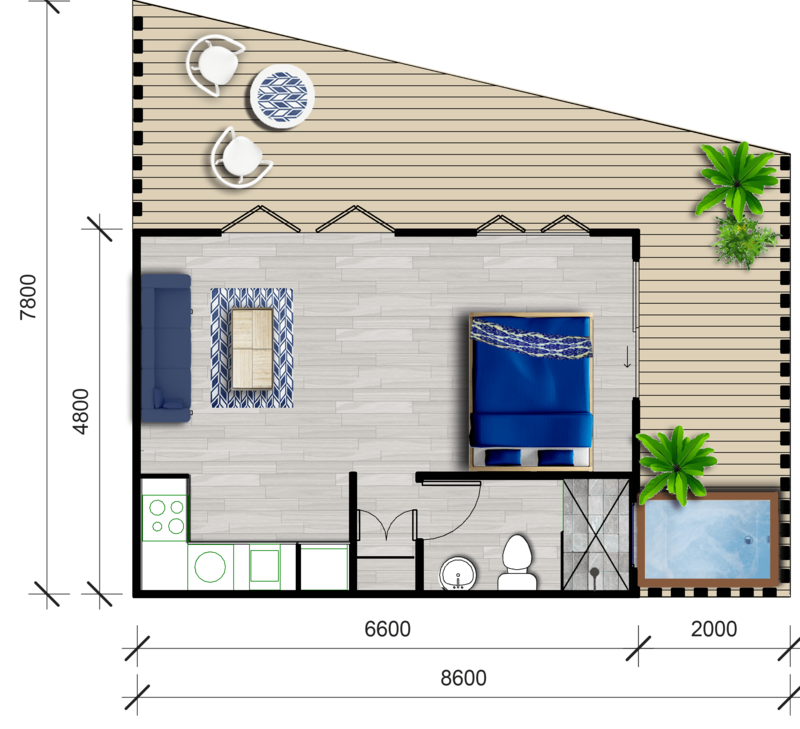 Funky Little Shack boasts generous sized bedrooms, bathroom and storage spaces, sheltered decks to relax in and even an optional outdoor hot tub. 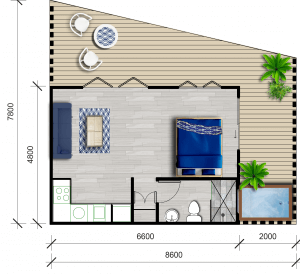 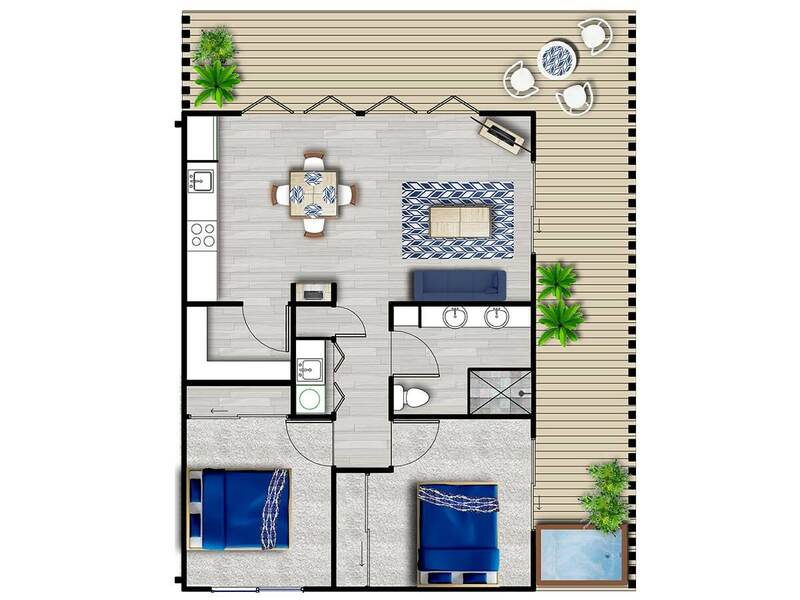 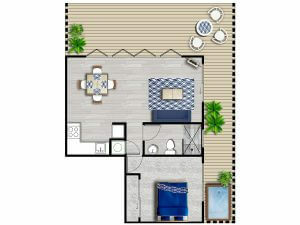 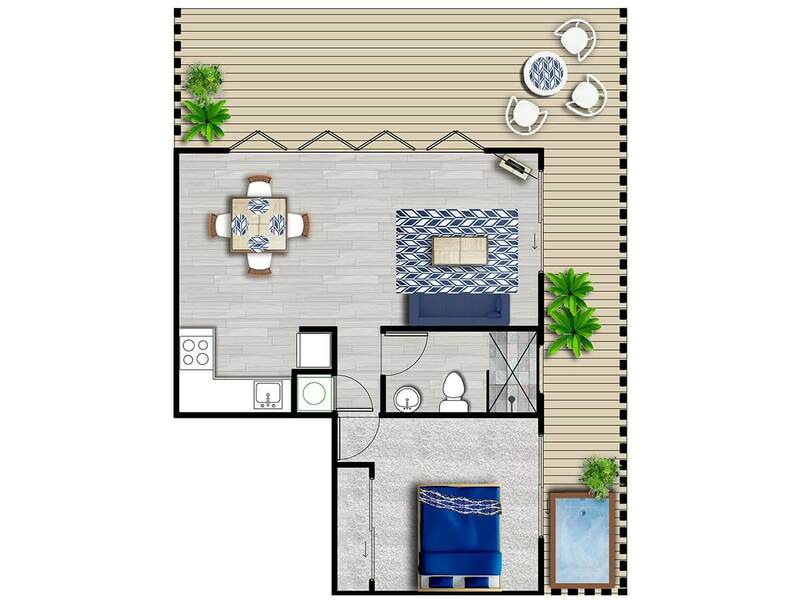 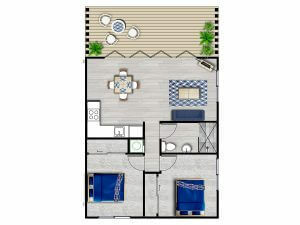 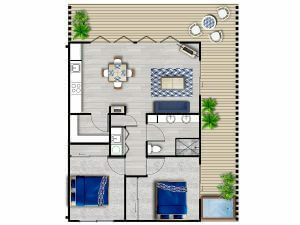 Small house and tiny house floor plans for Gold Coast, Brisbane and beyond.